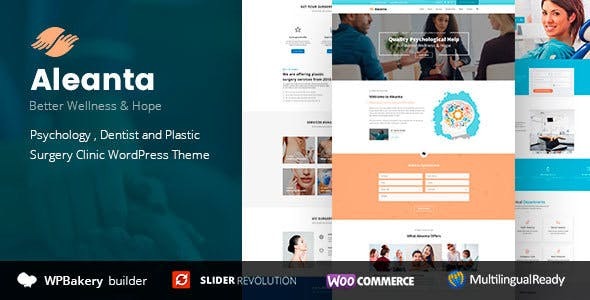 Aleanta is a new stylish WordPress Theme that will perfectly suit for websites related to psychology, dental solutions, plastic surgery. WPBakery Page Builder and Revolution Slider will help you easy create unique blocks according to your needs. Your website will be totally adjustable. Aleanta is multilingual, any language can be added to the interface.